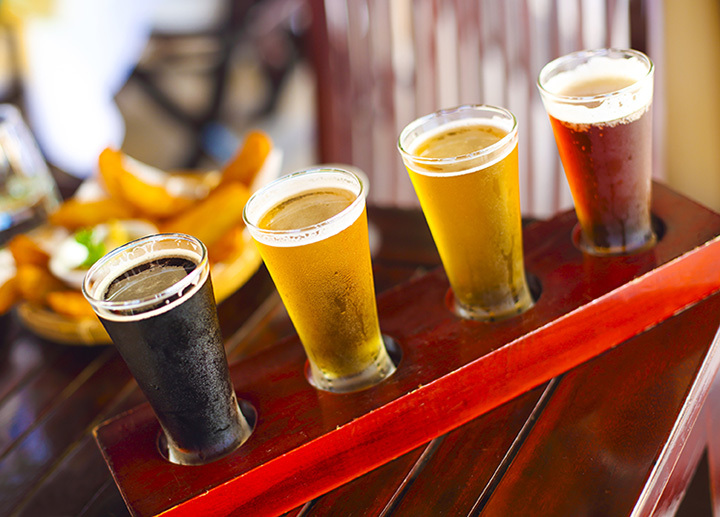 Caldera Brewing Company is dedicated to producing uncompromised quality ales, lagers, sodas and cuisine. In 2005, Caldera became the first craft brewery on the West Coast to brew and can its own beer, helping to start a revolution. Today, six of Caldera's most popular beers are available in cans, with several more currently available in 22 oz bottles, and there's more on the way. In 2010, due to the huge increase in demand for Caldera's internationally award winning craft beers, we broke ground at our new facility, a 30 bbl capacity brewhouse and restaurant. Here, Caldera's new canning line was installed, streamlining the packaging process with a capacity of 1,200 cans per minute. This allows for full time production of Caldera's flagship beers, while also allowing for the continued creation of experimental beers using Caldera's old 10 bbl system, which was moved from our old location just down the street. This arrangement allows Caldera to continue producing its line of well known beers, as well as to continue to experiment, a vital process necessary for an innovative craft brewery, as well as for the brewers themselves. In addition to the 10 bbl system, the extra room at our new facility also allows to store bourbon barrels, in which several of our most popular beers, as well as some brand new ones, are now aged. Look for these specialty beers at a location near you, or if you happen to be in the neighborhood, c'mon down and sample to your heart's content.